It’s true. 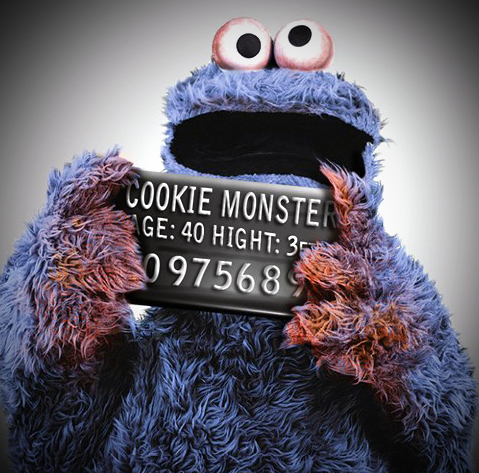 I was caught with a cookie at my local grocery store. An ugly scene. The grocery store close to our old office; regularly had their manager handing out cookies. They had a clear glass cookie jar and little wax paper “picker-uppers” so we could sample. I felt loved. To be honest, I got in the habit of picking up a cookie each time I entered. And occasionally I would buy a package to treat my office. I felt good about the store and about their cookies. A few days ago I entered a different store near our current office and saw a glass cookie jar. Without thinking; I reached in and took a treat. Not once did I feel like a felon. A shoplifter. Or a child hater. I proceeded to pick up my groceries and realized an older lady was approaching me with her cart. I moved out of her way and she stopped and said “Why are you eating that cookie?!”. Embarrassed by her loudness, I jokingly admitted to her and those around us, “It makes me feel young at heart”. Without blinking she told me what a horrible person I am and how I had no right to the free cookies. I moved away and tried to apologize. She followed me down the aisle. But I was faster. As I disappeared around the corner, I heard her yell “You must like taking cookies from little children, don’t you!”. The next visit; I looked carefully to see if it says anything about “children only” near their cookie jar. And no. It doesn’t. But I’m not risking it again. I avoid the bakery area. And I’m kinda scared I’ll get hit by a can of carrots if I run into the lady again. So I avoid the store. All because of poor signage. Businesses. Please. Have good, clear signage. And ban cranky old ladies.